555 years of history from one of the most discussed of the restoration at the Grand Bazaar so, starting from the roof. 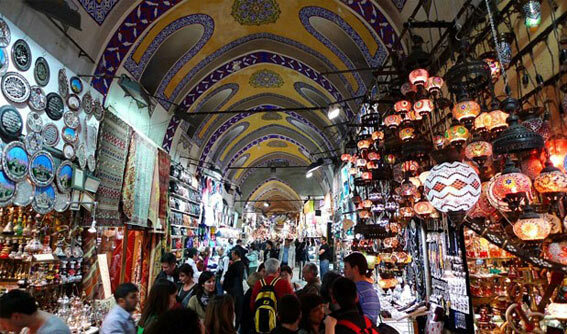 The annual Grand Bazaar one of the oldest buildings in Turkey 555 the regeneration starts. Having survived the earthquake and fire of countless since 1461, the Grand Bazaar roof restoration will begin. Fatih Mayor Mustafa Demir spoke on the subject to freedom. In 5 years of the project, indicating that the iron has been drafted, said it would take 10-20 years of restoration. 37 MILLION POUNDS WILL BE SPENT. We’re going to open tender in the month of March the iron for the roof that says, “the former provincial administration and the municipality of Fatih with the resources of a $ 12 million project. Our main goal is the Grand Bazaar, rain, moisture, humidity, and recover from external factors. Protection board, with the approval of the grooves will change. Underground rain water will be taken will be made under the insulation. Roof tiles and roof will be breaking. ‘Cat way’ we say, ‘ the walk way will be, but it won’t make it to the roof with tourists. ISKI, will spend 35 million TL of infrastructure works,” he said.